The BTS will accompany the state visit to France with president Moon Jaein. 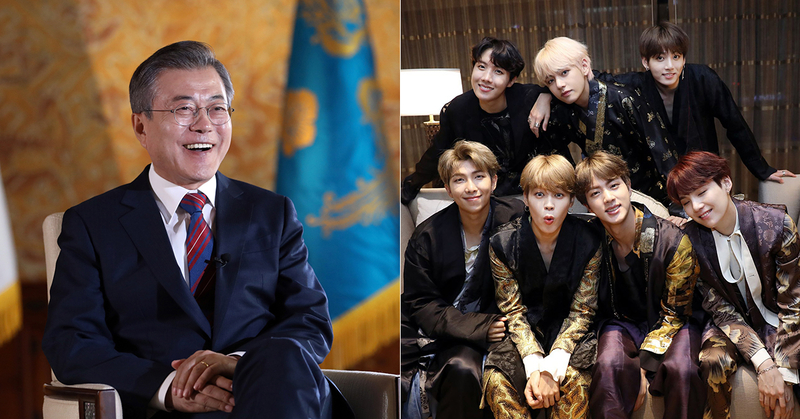 On October 11, Cheongwade(the Korean presidential residence) official told reporters that BTS will attend Paris culture event, which is one of President Moon's state visit to France schedules. This culture event is Korean-French friendship concert that will be held in Paris on the afternoon of October 14 under the theme of "Resonance of Korea Musicians"
There will be 200 people including France major figures and culture artists will attend this event. Also, about 100 French Korean Hanllyu lovers and 20 Korean major students from 7 universities in Paris will attend the event. About 400 participants including the people we invited, will share the resonance of Korean music. Cheongwade senior official said, "Seems like it will surpass the reactions of the local Hallyu fans shown in UAE visit.